June 21, 2016 — by Stephen Hardy M.D. The breasts are an integral part of the female figure, so when a woman does not have the shape or volume that she desires for her bust line, it can take a real toll on her self-esteem. Fortunately, cosmetic surgery allows women to enhance their breasts, and overall figure, so they feel more confident and beautiful. Breast implants add volume to the bust line, enhance the shape of the breasts, and create symmetry between the two breasts. In short, breast augmentation helps women achieve their aesthetic goals. While most breast augmentation surgeries provide patients with overwhelmingly positive results, there are rare cases in which complications occur. The most common of these complications is capsular contracture. When capsular contracture develops, our Missoula, MT patients can rely on Dr. Stephen P. Hardy to address the situation so they can enjoy a naturally beautiful bust line. Capsular contracture is an immune response that develops in some women following breast augmentation. 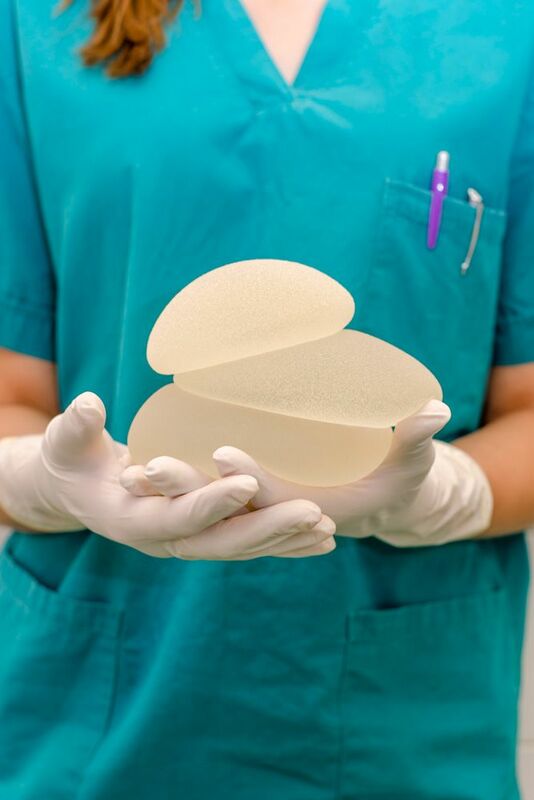 In these cases, the immune system responds to the placement of a breast implant, or foreign object, into the breast tissue by forming a thick layer of scar tissue directly around the implant. This scar tissue squeezes the breast implant. Capsular contracture is quite often a painful condition, and one that also impacts the appearance of the breast. As the scar tissue hardens, the breast is likely to look and feel stiff and unnatural. Capsular contracture may affect a single breast or both breasts. How Common Is Capsular Contracture? In terms of the number of women who undergo breast augmentation, cases of capsular contracture remain quite low. While studies vary, data indicates that between three and 15 percent of women will develop capsular contracture after breast augmentation. Unfortunately, there is no known cause of capsular contracture, so it is impossible to predict which women will suffer from this condition. Although surgery is often the best treatment for capsular contracture, patients may try non-invasive treatment prior to committing to a secondary surgical procedure. The most conservative treatment for capsular contracture is the use of inti-inflammatory medication. This medication is usually prescribed to be used twice a day for a period of three months. Unfortunately, even when improvement is seen, this treatment does not completely eliminate capsular contracture. In most cases, surgery is necessary to treat capsular contracture. There are two surgical options for treating this condition. The first is a capsulotomy. During this procedure, an incision is made in the scar tissue to release pressure on the breast implant. This technique can prove successful, but in the majority of cases, even more extensive treatment is required. The most common surgical procedure for capsular contracture is a capsulectomy. A capsulectomy involves cutting into the scar tissue that has formed around the breast implant so that it can be completely removed. After the scar tissue has been removed, the entire breast pocket will be cleaned and a new implant will be placed. This is the most effective method for eliminating capsular contracture as well as preventing a recurrence of the condition. At Northwest Plastic Surgery Associates, Dr. Stephen P. Hardy and his team are dedicated to providing patients with the exceptional cosmetic surgery results they deserve. If you are interested in learning more about breast augmentation surgery, or have concerns regarding results from a previous surgery, we are here to help. Contact us at your earliest convenience to learn more about our cosmetic treatments.